The Blue Mountains are part of the Great Dividing Range, in a national park only 90 minutes’ drive from the center of Sydney. The World Heritage-listed region is home to quaint villages, waterfalls, walking trails and dozens of lookouts with spectacular views of cliffs and gorges. The area was scouted out gradually through the late 18th and early 19th centuries, but wasn’t properly settled until mining began in the 1860s. The region’s name comes from the color the mountains appear from a distance. This distinctive tinge is caused by the blue light waves that hit dust particles, water vapor and tiny droplets of oil produced by the eucalyptus trees covering the mountains. Hike through these eucalyptus forests on one of many trails scattered throughout the region. These trails cater for all skill levels and vary in length. Many of them skirt past waterfalls, woodlands and ridges. Start at Echo Point for magnificent views of the Jamison Valley and the impressive rock formation of the Three Sisters. Take the Giant Stairway down to the valley floor. Here, at Scenic World, you can take Australia’s steepest cable car ride back up to the top. Wentworth Falls is one of the best-known landmarks in the Blue Mountains. For a view like no other, check out Govetts Leap, which rates among the area’s best places to watch a sunrise or sunset. Explore some of the towns and old homesteads to get a feel for life in the area, or to brush up on your area history. 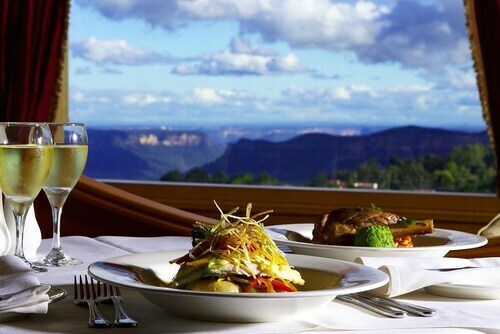 The biggest town is Katoomba, where you’ll find plenty of restaurants, shops and cafés. Some of the smaller towns, like Leura and Blackheath, are also worth a visit. Check out the Leuralla Toy and Railway Museum or the Everglades Historic House and Gardens, among the many other fine old estates. For extreme adventures, go mountain biking, climbing, abseiling or even canyoning. You’ll find a number of companies offering training, equipment and guided tours. The Blue Mountains is a region of staggering natural beauty. Walk on one of many bush trails, explore its charming little towns and enjoy the unbelievable views. The train runs regularly from Sydney’s central station to Katoomba and services all towns and villages in the region. The scenic drive westwards is unforgettable and there is free parking at most places. This family-friendly Leura hotel is located in a national park, within 2 mi (3 km) of Blue Mountains National Park and Sublime Point Lookout. Wentworth Falls Lake and Wentworth Falls Waterfall are also within 6 mi (10 km). 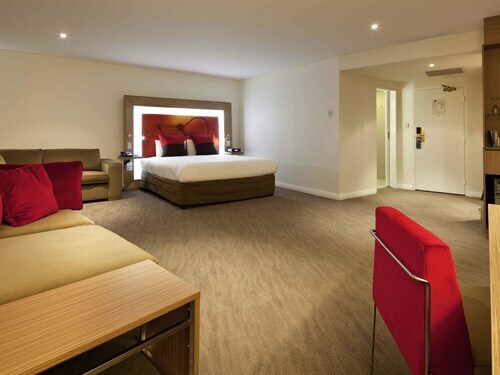 Situated in the suburbs, this luxury hotel is within 3 mi (5 km) of Blacktown International Sportspark, Western Sydney Parklands, and Blacktown International Sportspark. Nurragingy Reserve is 2.5 mi (3.9 km) away. Sydney Rooty Hill Station is 14 minutes by foot and Sydney Mount Druitt Station is 20 minutes. 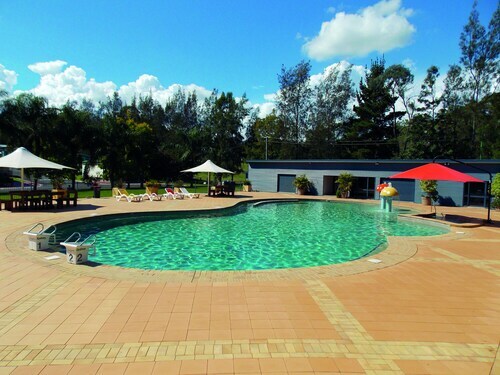 Set in the center of Windsor, this family-friendly hotel is 0.6 mi (1 km) from Wollemi National Park, and within 9 mi (15 km) of Ebenezer Church and Rouse Hill Village Centre. Rouse Hill House & Farm and Hawkesbury Race Club are also within 9 mi (15 km). Sydney Windsor Station is 10 minutes by foot and Windsor Station is 10 minutes. 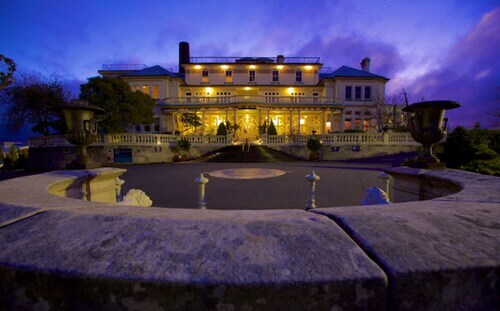 Located in the heart of Katoomba, this historic hotel is within 2 mi (3 km) of Blue Mountains Cultural Centre, Katoomba Scenic World, and Three Sisters. Blue Mountains National Park and Leura Mall are also within 2 mi (3 km). Katoomba Station is only a 2-minute walk and Leura Station is 29 minutes. Situated in the historical district, this luxury hotel is within 1 mi (2 km) of Blue Mountains Cultural Centre and Leura Mall. Leura Cascades and Three Sisters are also within 2 mi (3 km). Katoomba Station is 9 minutes by foot and Leura Station is 25 minutes. 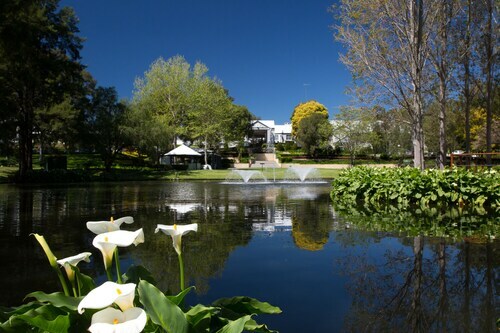 Situated in the mountains, this hotel is 0.6 mi (0.9 km) from Blue Mountains National Park and 2.2 mi (3.6 km) from Blackheath Golf Course. Katoomba Scenic World and Three Sisters are also within 6 mi (10 km). Medlow Bath Station is only a 3-minute walk.